Fine Art America is one of the best print on demand website deals artists and photographers can get for $30 a year. The annual $30 get us our “own” customizable website which has limited but sufficient customization features to set up a professional online artist presence for our art and photography. More importantly FAA provides the artist with many marketing tools like easy to assemble newsletter, social media sharing tools, shopping cart for our Facebook page, coupon codes, promotions … the community of artists is great. The website allows one to write an Art Blog and add events to share with our online social network communities. It has a clear format and the options to buy art prints, canvases, and greeting cards are very intuitive and easy to navigate for potential art collectors and buyers. The website appears very professional as many customers, friends and art collectors stated in the past. For the artist, the artistwebsites is very simple to use. Basically one needs to upload new artwork, assign prices and start marketing and selling artwork. FAA takes care of printing, framing, matting and shipping for each sale which frees up lots of time that can be used to create more art and photography. Fine Art America provides all tools needed for a successful online art business but does not market the artists' work individually. It is solely the artists' responsibility to market their artwork and drive traffic to their site which is very crucial for the success of online selling. 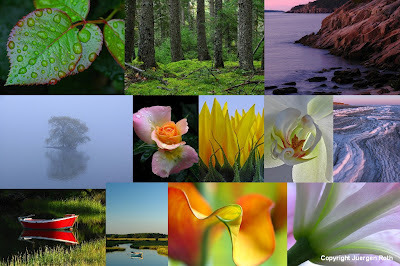 Besides my nature photography blog I use social media networks like twitter (@natuerfineart), Facebook, Linkedin, and Stumbleupon to drive traffic to my Artists Website. Long story short: If you are trying to sell art online and don't have a professional looking webpage for your artwork and photography you should consider a web presence for artists powered by Fine Art America ... it's a Win Win ... sign up for the Free Trial. In choosing a domain name, I always make it a point to make website design synchronized with it. In this, viewers will find it a lot easier to look at. I like your point of view. You have a point right there. Looks like you have good SEO. I once read SEO topics in classifieds manila but I can't fully comprehend it. Thanks for commenting on my photography blog post "Web Presence for Artists and Photographers" ... glad you enjoyed the read! Hi Juergen! Being a big fan of photography and art in general, I've learned to carry over my interests and appreciation of aesthetics in doing web design. I've visited Fine Art America and have seen their alluring designs. I've known a seo australia company I've worked with whose interests are the same. Suffice to say, we've jived well. If a website is not user friendly I easily lost interest in it. No one wants to navigate a website that is complicated because it will just spend too much of their time. I can see that the designers have confidence on their work. The trial version proves that. Having a free trial period means that they are assure that the client will continue on the subscription.